The Women in Packaging breakfast event, 2018. The main focus of the day will be the Australian Institute of Packaging's National Technical Forum, which will address best practice design for save-food and sustainable packaging, plus on-pack communications and packaging across the food, beverage, pharmaceutical, and domestic sectors. Speakers will include representatives from Nestle, Tetra Pak, McCormick, SPC, Campbell Arnott’s, Lion, Delicious Food Australia, the Orangutan Alliance, BioPak, Planet Protector, ICEE Containers, Plantic Technologies, APCO, Fight Food Waste CRC, Sealed Air, Result Group, Arthritis Australia, and Oji Fibre Solutions. According to Nerida Kelton, executive director AIP, the event is a must-attend: “This educational event will allow delegates the opportunity to be inspired by what other companies are already developing in key industries and markets, and will allow you to hear their challenges and learnings through the packaging design journey,” she said. Preceding the forum itself will be the Women in Packaging Breakfast Forum presented by PKN and Food & Drink Business in partnership with AIP. Keynote speaker at the breakfast, Nikki Moeschinger, managing director of BrandOpus, will discuss “Creativity, Spirituality and Human Purpose at the Dawn of AI”. The keynote will be followed by a panel discussion, featuring influential and inspiring women working in the food, beverage manufacturing and packaging industry, who will explore the new wave of learning opportunities that address the skills gap in line with rapidly advancing technology. The breakfast event will not only be an ideal networking opportunity, it will also be an insightful forum demonstrating how women in our industry navigate their roles and responsibilities and make a positive contribution to the workplace. The day will culminate with another highlight event, the Packaging Innovation & Design Awards gala dinner coordinated by the AIP and Packaging New Zealand. 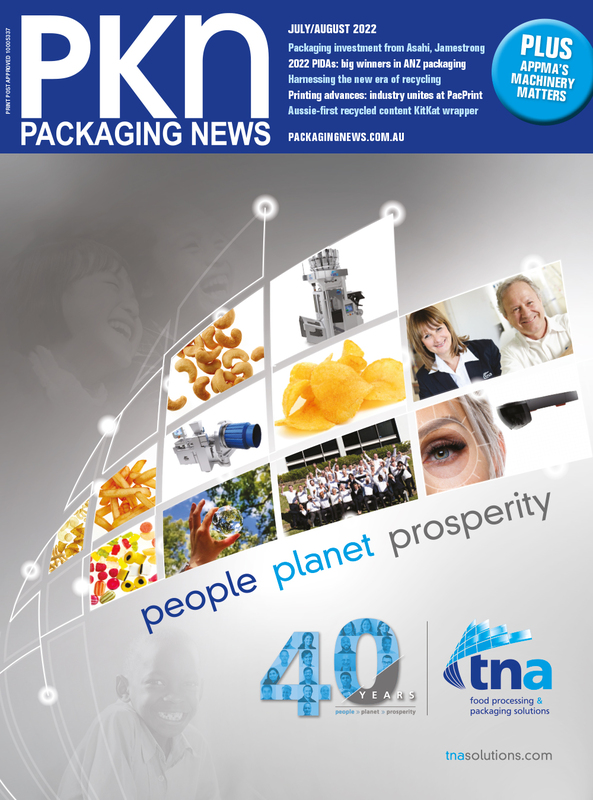 “The PIDA Awards are designed to recognise companies and individuals who are making a significant difference in their field and are the exclusive entry point for Australia and New Zealand for the WorldStar Packaging Awards,” said Kelton. Registration is open at http://aipack.com.au/event-registration/?ee=190.